Fatness, heart disease & overburdened public hospitals from too much sugar in national diet to be fought with taxes. Soft drinks could be 20-25% more expensive very soon. That is, if the cabinet approves a new sugar tax proposed by reform councillors. 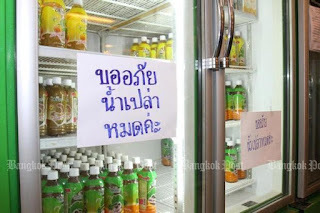 The new taxes are aimed at discouraging Thais from consuming too much sugar and improving public health. At present, Thais rank ninth worldwide in sugar consumption. Drinking large amounts of sugar increases risks of obesity, hypertension and heart disease and other illnesses. This adds to the state's heathcare burden under Thailand's universal coverage healthcare system. These facts have been laid out in a report from the National Reform Steering Assembly's (NRSA) health and environmental reform committee. An excise tax on beverages with unhealthy sugar levels — more than six grammes per 100 millilitres -- was proposed by the reform committee. 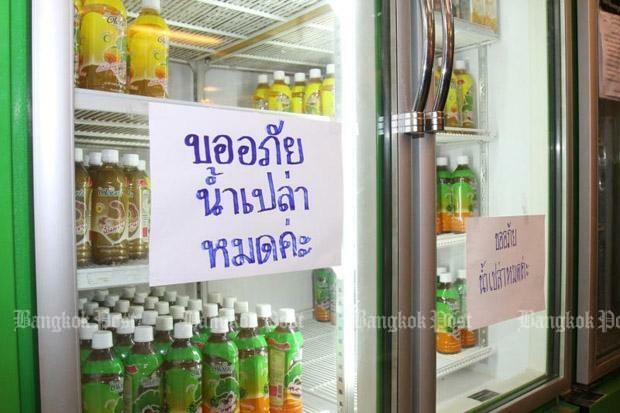 Taxed drinks will include carbonated drinks, green tea, coffee, energy drinks, sour milk, soy milk and juices. Two rates of the excise tax were proposed based on different sugar levels. Drinks with 6g to 10g per 100ml of sugar would be subject to a rate that would raise their retail prices by at least 20%. Those with more than 10g of sugar would see their prices at least 25% higher. The reform report stated that most local beverages contained more than 6g of sugar per 100ml. The proposed tax was estimated to increase national income by more than 10 billion baht a year in the future. The NRSA would also ask the Interior Ministry to regulate lucky draw marketing campaigns by sugary beverage manufacturers to further reduce sugar intake nationally. The National Reform Steering Assembly (NRSA) voted Tuesday to table the so-called sugar tax for cabinet consideration, for better public health public health.and larger state revenue. The resolution was backed with 153 votes against two with six abstentions and will be proposed to the cabinet later.